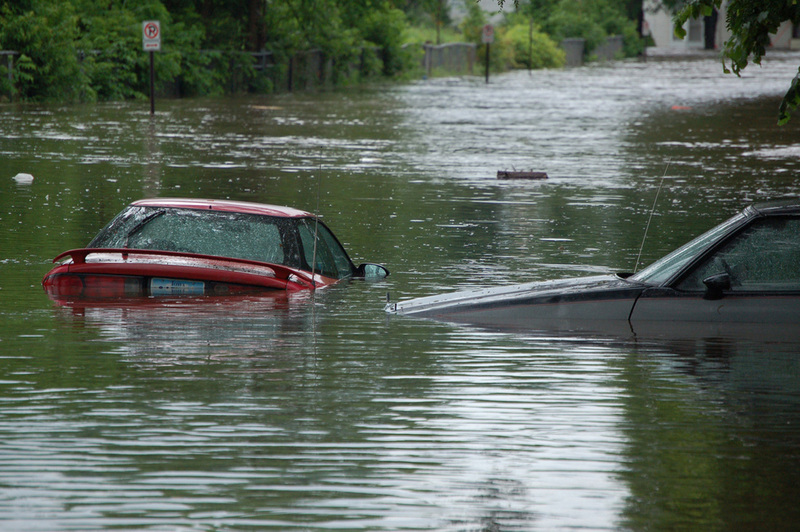 A flood is a body of water that covers dry grounds. A flood happens when a river rises up from its normal level and when rain falls the river gets higher and it overflows its bank. Floods can trap people under water. People could be injured and killed by a flood. Some people may live close to a lake or a river to provide a source of water. In central California, a flood happened on Christmas Eve 1961. The flood kept on going for 43 days and stopped on the last day. Create a family communication plan. A family communication is when a family has to create a plan to get past the flood so the family can survive. 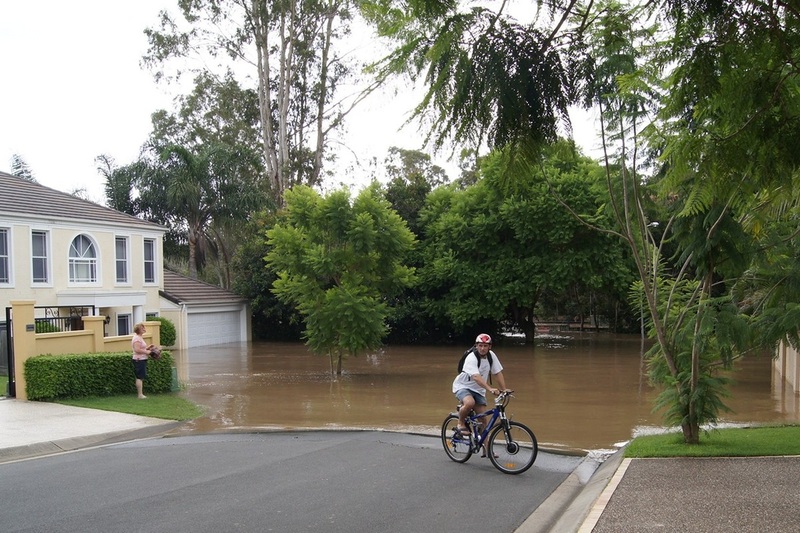 This is a man on his bike running away from his flooded house. 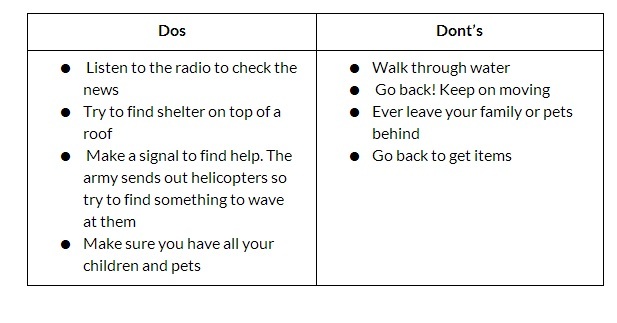 Don’t return to the flooded area until it`s safe. If you have any food, water, or medicine, throw it away because it could have sewage and dirty water in it. You or a family member could get very sick! To get your house fixed, call the insurance company.